Rest Day 9/8/13: What Regattas will you go watch this fall? What Regattas will you go watch this fall? Fall is a great time to experience the world of rowing. Every September/October Head Races start popping up all over the place. Head Races tend to be anywhere from 4-6 km and are usually run in a time trial format. Go to regattacentral.com to find a regatta near you. Get outside, enjoy the changing leaves, and cheer on your favorite crews. 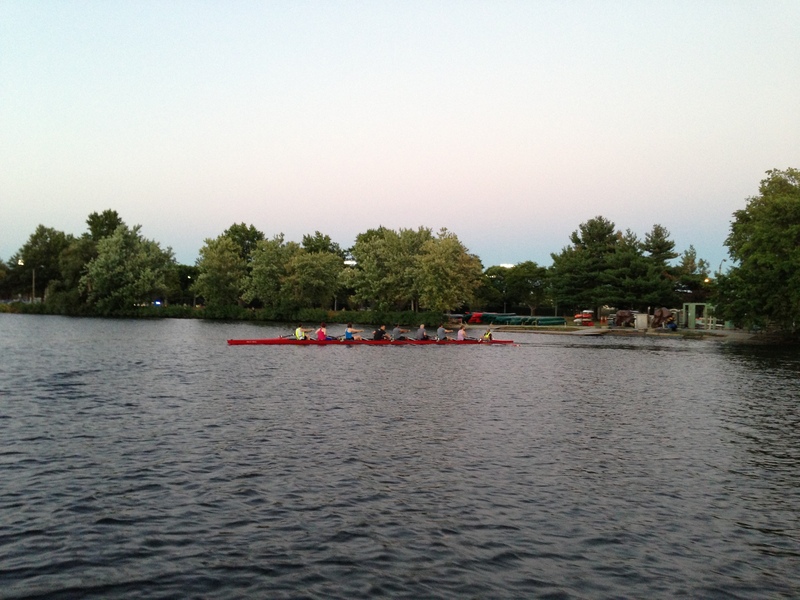 Next Sunday, September 15 there will be a regatta at Community Rowing, Inc. in Brighton called the Rumble on the River. I will be there with the Renegade Rowing Team and some brand new T-Shirts for those that are in Boston. Come check it out and cheer on the Renegade Rowing Team. This entry was posted in Motivation, Our Mission and tagged balance life, daring adventure, functional movements, healthy-living, outdoors, people, rowing, sports, water by Renegade Rowing. Bookmark the permalink.